It is a really cold start to my weekend! I would love to drink endless cups of tea and watch a good movie. However, my house is in complete disarray and I have to pack.....pack......and keep packing!! A winter palette of warm rich colors, a lovely fireplace, hot tea and a good book is my recipe for a perfect winter day. What's yours? 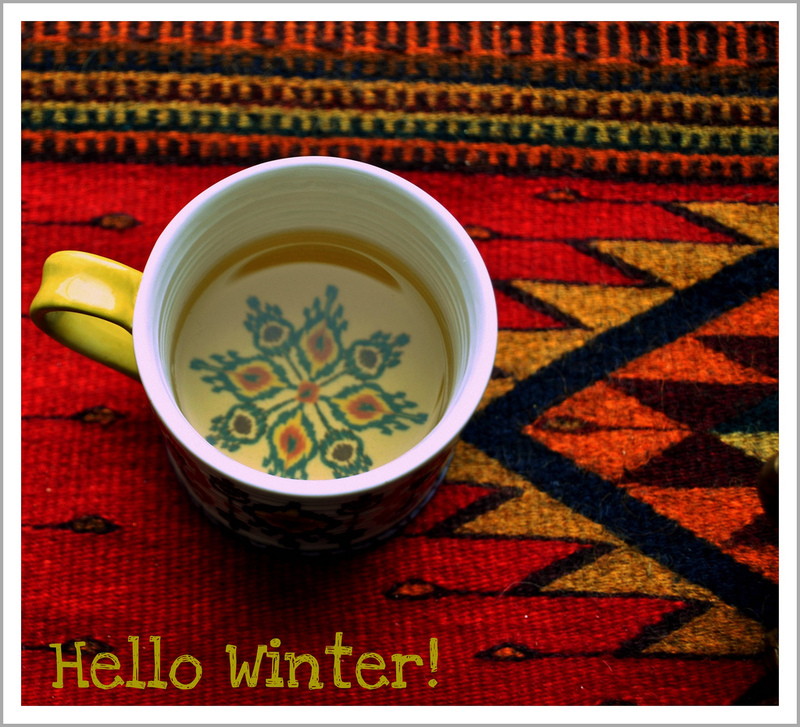 I love the rich warm colours in the mat you have under your cup - and who doesn't love a warm cup of tea on a cold day. Have a good weekend, Anu!